In the 20th century during the Great War -1917-1919 (WW One) and the Second World War (1940-1945), in the United States those individuals not citizens were classified as ‘alien residents.’ During each of those wars, the aliens residents had to register. 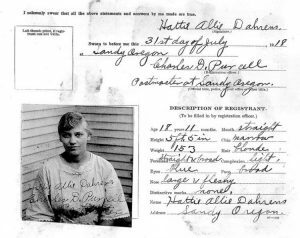 Online with the Naturalization Records you can search to see what is available on any of your ancestors who might have been alien residents during those time frames. You will see that for WW I registration, those are kept by individual states. There is a listing of states as you scroll down. Check the state and see what is available for where your ancestor lived during 1917-1919. 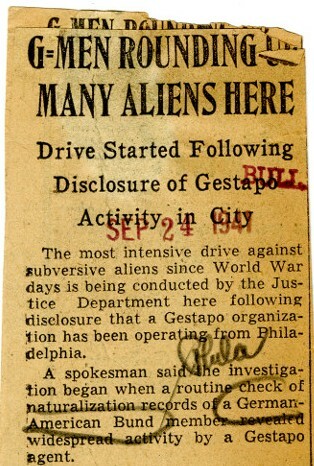 Note also the listing of some of those states and what alien information records they have during 1917-1919. 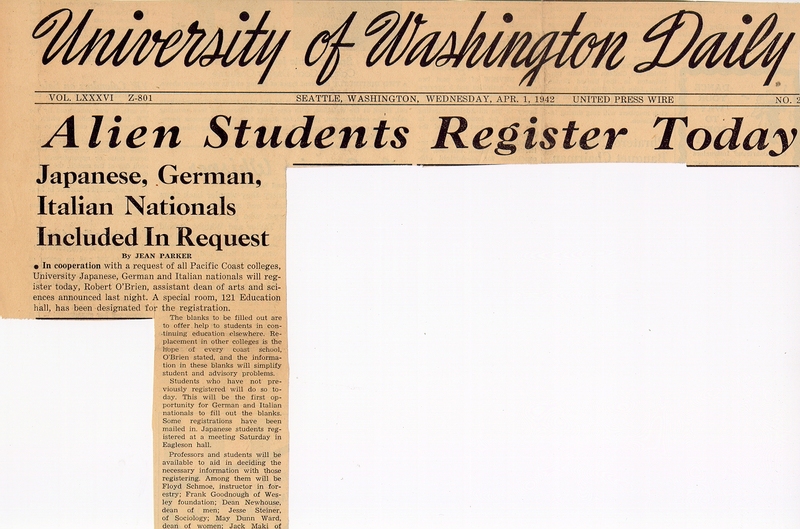 For the early 1940s during WW II, you see ‘Alien Registration 1940-1944‘ plus other states and alien records for those individual state in the column to the right. Here are some of the states: Minnesota, Iowa, Michigan, Missouri, and North Dakota, but not all. These provide a full name, birth place and their ethnic / nationality. 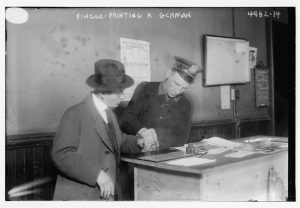 There is a link for requesting a request through the FOIA (Freedom of Information Act) for such records if an ancestor were in another state. It will take some work to locate your specific ancestors but just another possibility of a little-used resource. 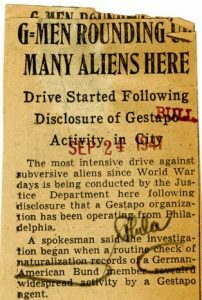 This is just a start to make you aware such documents were created listing aliens in America during those two wars. 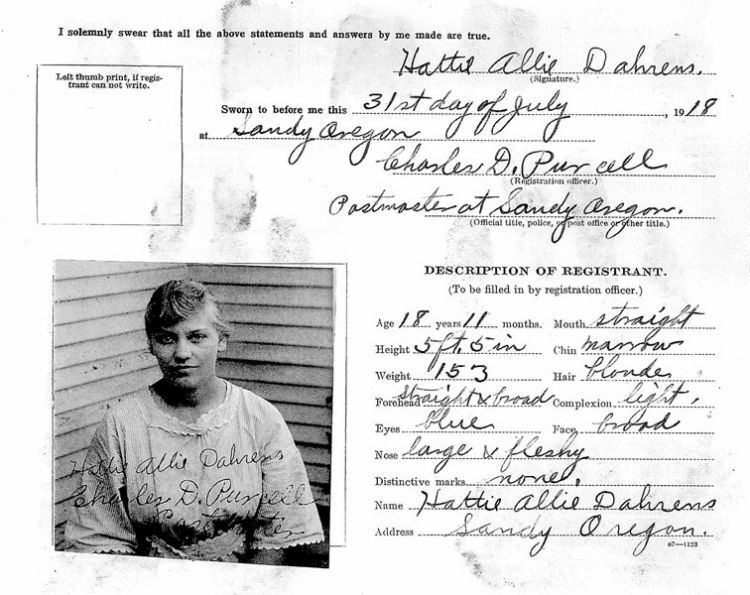 Photos: 1918-Oregon alien registration of Hattie Allie Dahrens; 1917-fingerprinting a German alien in NYC; 1941-the round up of Germans in Pennsylvania; and 1942-the registration of aliens at Pacific coast universities.